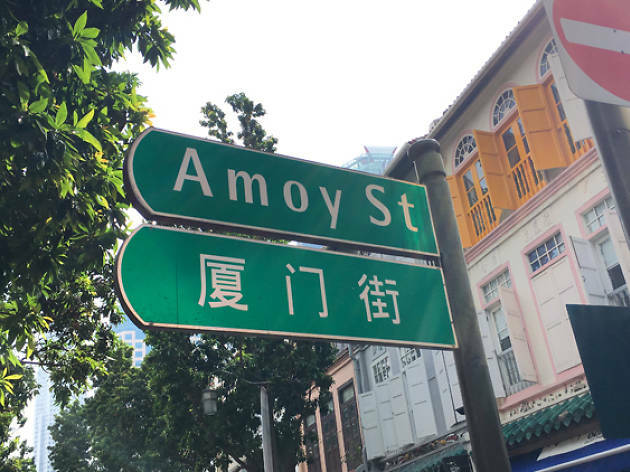 Anyone who tells you Amoy Street is 'boring' has clearly never stepped foot down the lane before. Because trust us, it's the complete opposite of that. 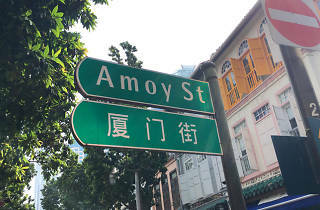 Previously known for its opium-smoking dens during the British colonial era, the shophouses lined along this one-way street now house chic cafés, bars and even gyms. But if you'd like to have a taste of Singaporean flavour, hit up the hawker centre in the area that's always buzzing with people. 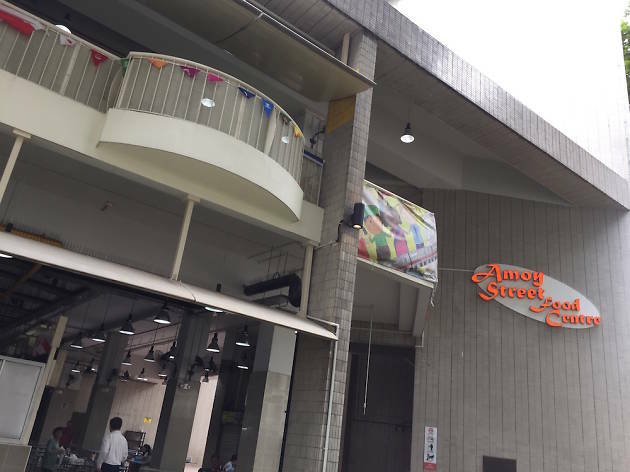 It’s got one of the longest queues at Amoy Street Food Centre, and for good reason. 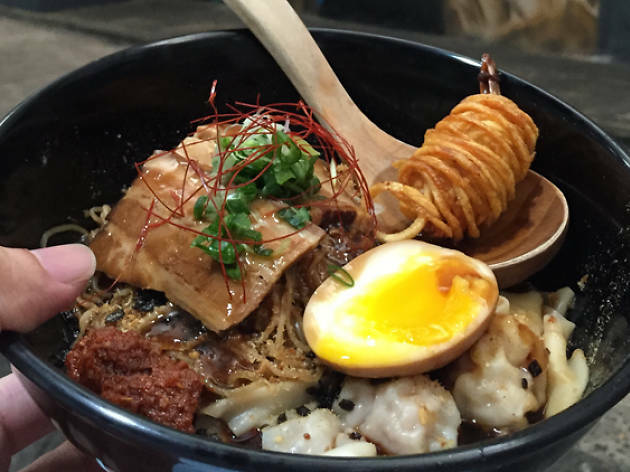 The ‘Singapore-style’ ramen – which was awarded the Bib Gourmand in the Michelin Guide Singapore 2016 – the two young lads at this stall whip up is like a cross between wonton mee, mazesoba and magic. 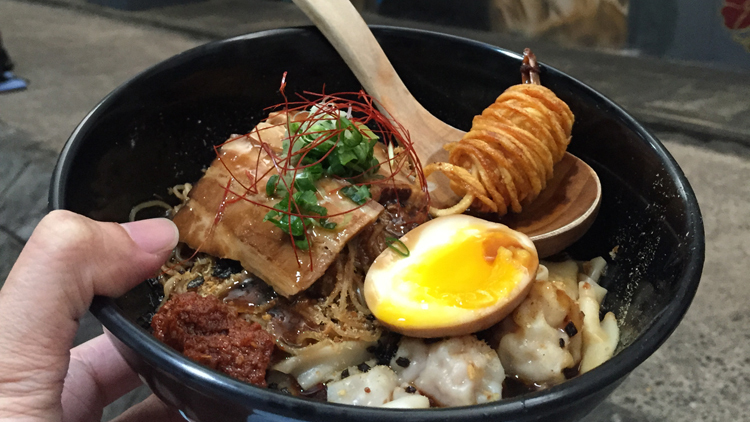 Over springy mee kia tossed with a moreish and slightly sweet chilli oil, they pile braised char siew, Hong Kong-style wontons, a crispy potato-wrapped prawn, spring onion and an onsen egg, all for just $5.90. For the more ravenous, go for bigger portions ($7.20-$8.50) or choose an extra side dish of onsen egg ($1.20), Hong Kong-style wontons ($3.50), braised char siew ($3.50) or crispy potato-wrapped prawn ($3.50). 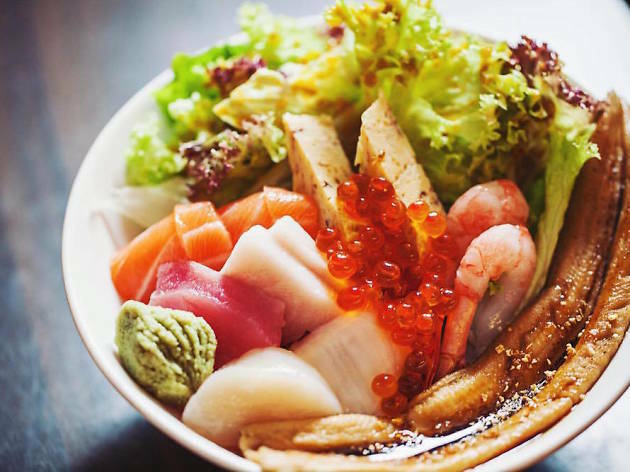 Poké – some say it’s the Hawaiian bara chirashi – finally hits our shores. 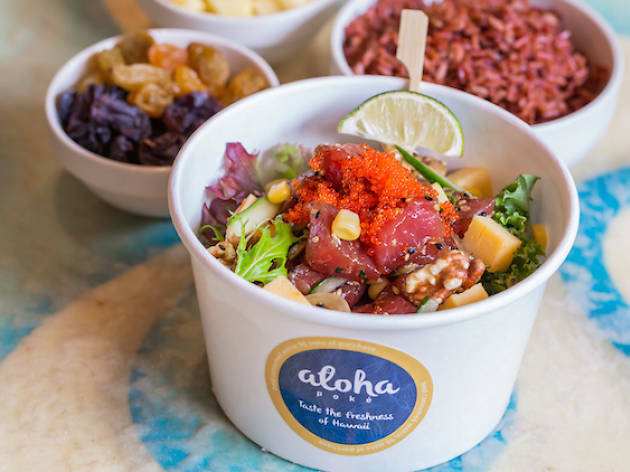 Aloha Poke’s take on the dish sees tuna, salmon, tofu and seasonal fish dressed in sauces like wasabi mayo and spicy sauce. 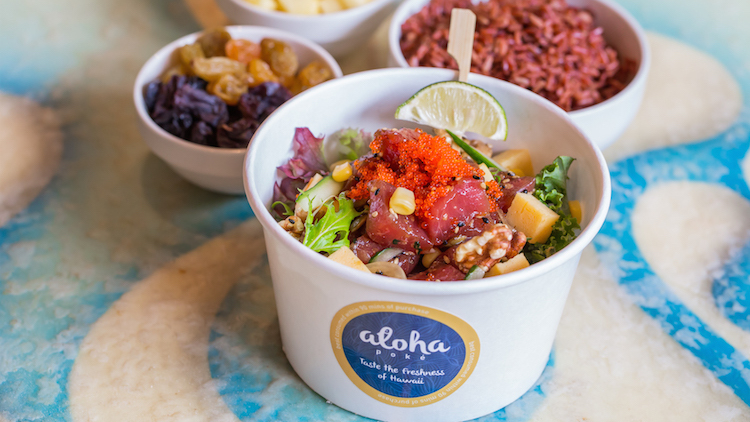 Patrons can customise their own bowl, choosing from one poké scoop ($11.90) to three ($19.90) atop their choice of carbs or salad, with add-ons like edamame beans, jalapeños and avocado. The health-centric mantra spills over to the beverage list as well: CocoLoco water ($5.90) is made from Thai coconuts, and fresh fruits go into its range of Juix Up pressed juices ($5.90). 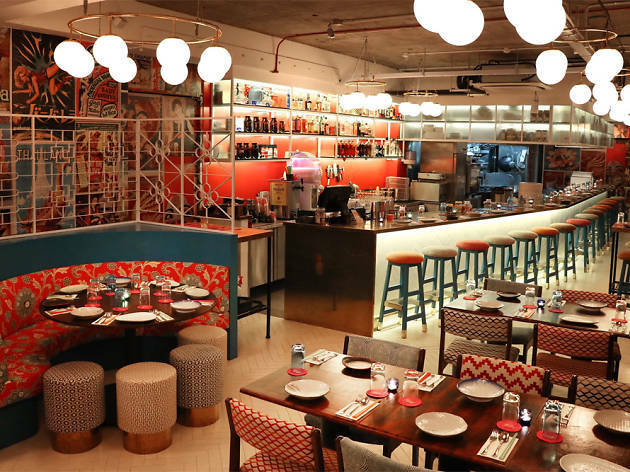 Argentine chef Diego Jacquet – formerly of world-renowned El Bulli, and now the owner of two establishments in London (Casa Malevo and Zoilo) – teams up with Spa Esprit Group to school local diners on the myriad flavours of his homeland. BoCHINche’s refreshed lunch menu is laden not only with carnivorous fare like sbife angosto (sirloin, $65/400g) and beef and bone marrow burger ($27). Seafood also gets its share of the spotlight in a sea bass ceviche with onion, radishes and preserved lemon ($18), and crab on toast with humita norteña (a white sauce), marjoram and pickled turnips ($18). Round up your meal with torched mango, rice pudding, and lime and coconut sorbet ($15). If you'd rather let chef Jacquet do the work, choose from the prix fixe menu of two or three courses ($25 and $29, respectively). 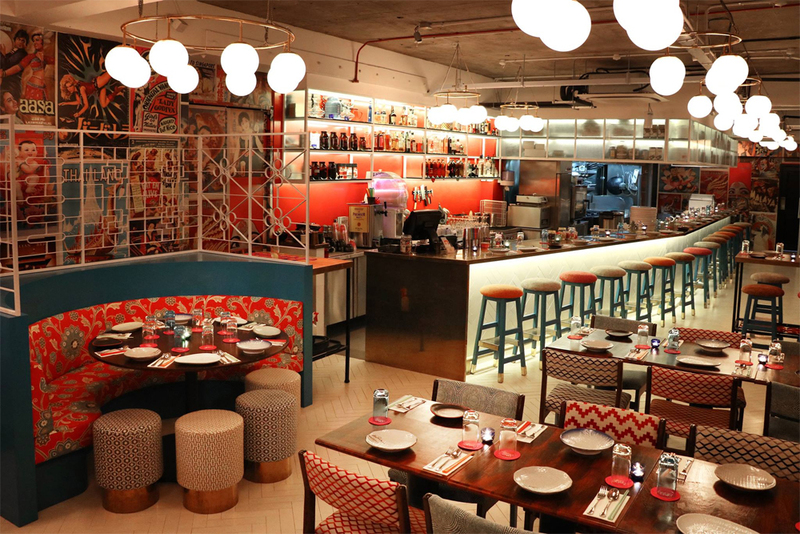 The restaurant also offers a selection of Argentinean wines, and stars notable Latin American elements like chimichurri and Venezuelan rum in its cocktails. 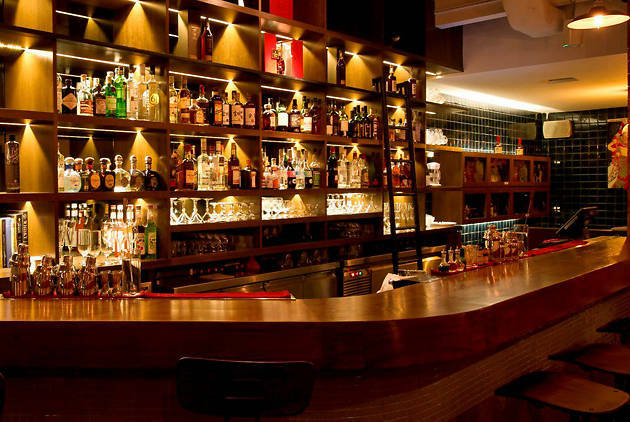 The Spa Esprit Group makes its first foray into the Ann Siang neighbourhood with this chic three-floor bar-eatery, featuring a South-East Asian-inspired menu by chef Jet Lo. Dishes lean towards comfort food – though in small sharing portions – with non-threatening items like soft-shell crab and pork ribs ($17) or Asian wagyu tartare with homemade chilli sauce and pickled vegetables ($24). If you’re feeling bold, go for dishes like crispy duck curry served with cauliflower and passion fruit ($27) or 48-hour beef cheek rendang with wild puffed rice and crispy herbs ($28). Before the evening shenanigans of The Spiffy Dapper kicks in, 73 Amoy Street is a cosy, romantically lit coffee spot. 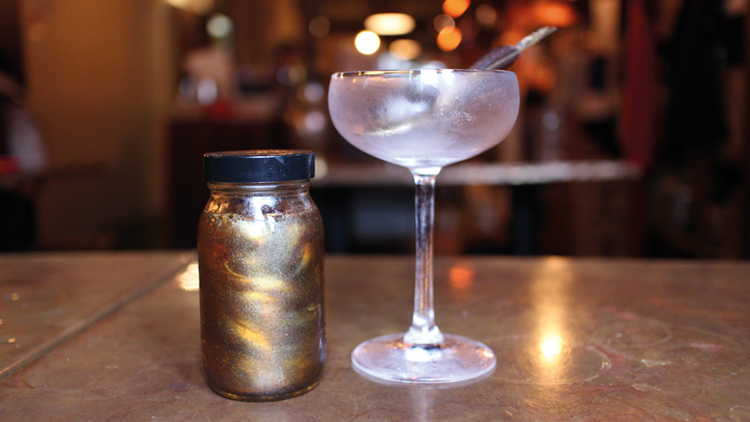 The experimental drinks here are the result of creative thought by Dapper co-owner Abhishek Cherian George and head chef Christine Seah, and come with names like Unicorn Tears ($10) and Gold Brew ($10), made with Ethiopian Yirgacheffe. If it's a straight espresso you're hankering after, Dapper’s espresso-based drinks are brewed with its house blend. Pair your cuppa with a slice of cake that come in flavours like gula Melaka walnut oat and the best-selling salted egg black sesame. 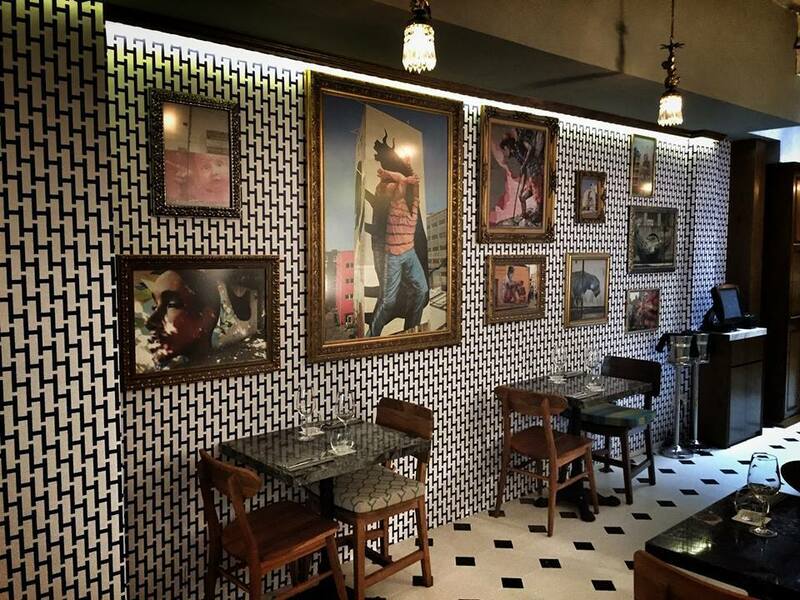 This cosy restaurant off Amoy Street gives a hip, underground vibe with its hidden entrance, exposed brick walls and tiny square windows. 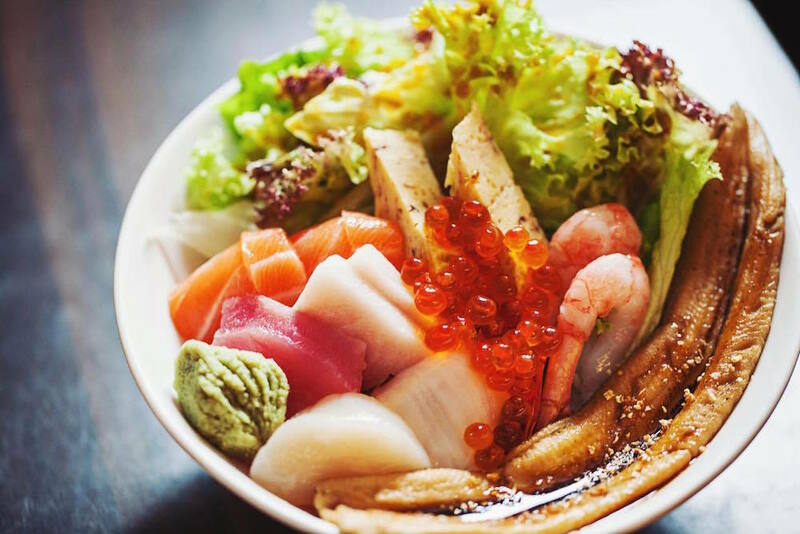 Inspired by the love of travel, coffee, art, music and Japanese food, The Flying Squirrel offers Japanese-inspired cuisine ranging from classics like sashimi ($49/platter of 16), handmade sushi ($42/platter of ten) and lunch bento sets ($19-$30) to the less conventional truffled ebi fry ($15), uni shooters ($22) served with sake and yuzu ponzu, as well as a wagyu burger pate ($38). 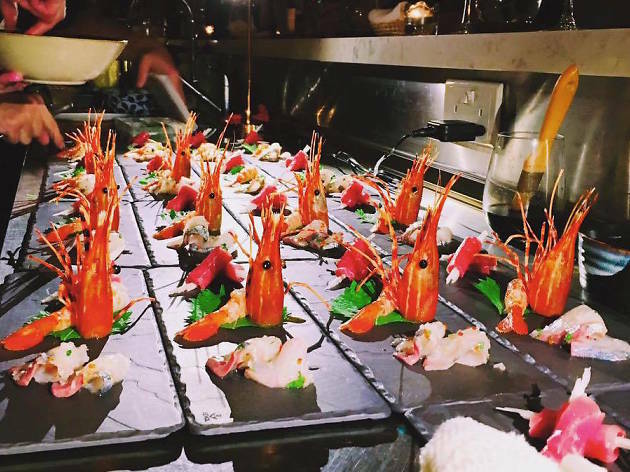 Opened by the same team behind The Flying Squirrel, The Flying Squirrel Private Works introduces omakase courses and Japanese-inspired tapas to the local culinary scene. Sidle up to the intimate 20-seater sushi bar, and enjoy a five-course lunch set (from $30) or a five-course dinner ($88). Those who still prefer their meals à la carte can suss out its tapas menu for wagyu carpaccio ($21) and Japanese tacos ($9), or dig into a selection of rice bowls ($24-$40) and maki rolls ($12-$20). 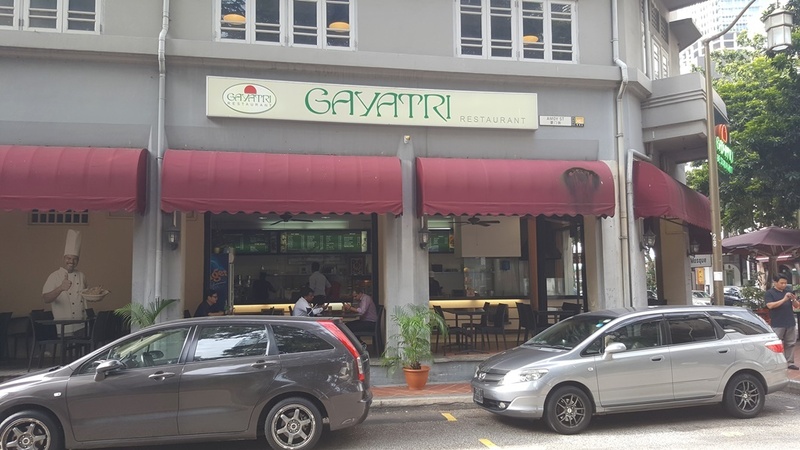 Naan, briyani and curries of all colours are the mainstays of this South Indian spot. If you're in the area, the dishes do hit the spot if you’re craving a paneer butter masala ($7.50-$13) or spiced potatoes ($5-$9). 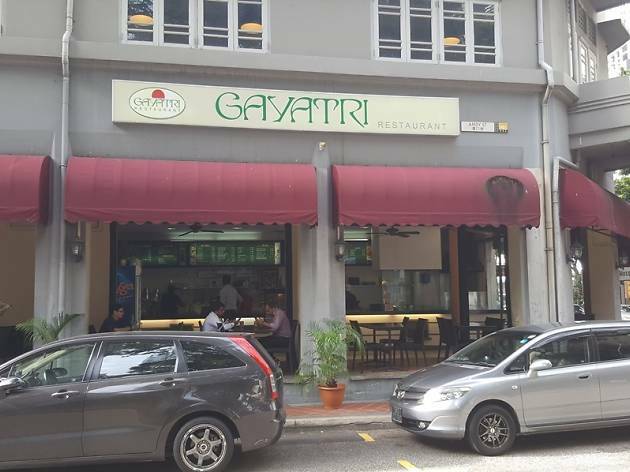 Gayatri also offers vegetarian and non-vegetarian catering services, from $12 a head. 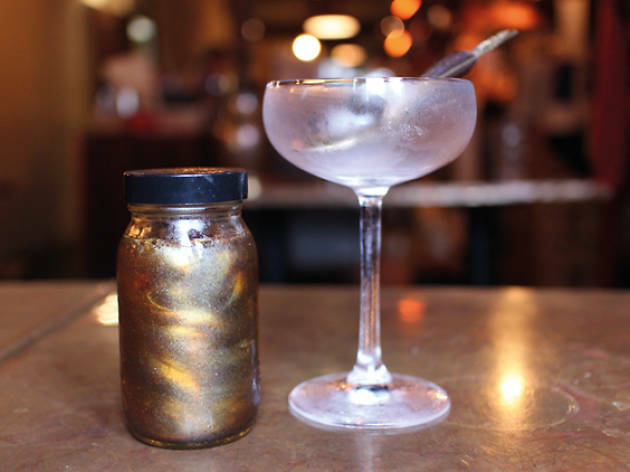 Paying tribute to the 19th century, when cocktail recipes were listed in ‘jiggers’ and ‘ponies’, this cocktail bar brings back the art of classic cocktails, made from precise ratios of spirits. 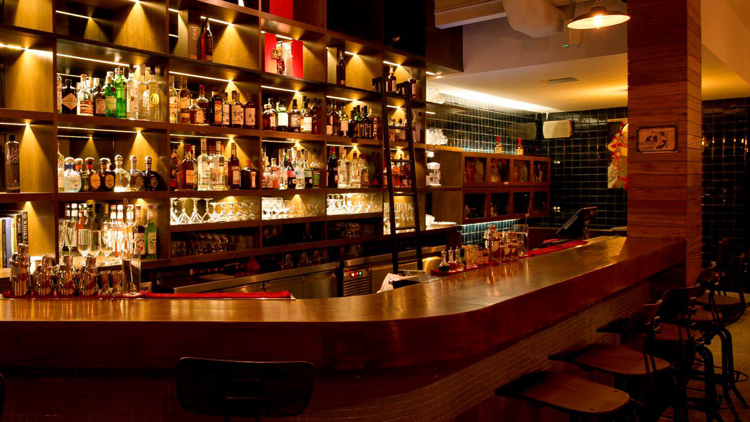 It came in eighth place in the 2016 ‘Asia’s 50 Best Bars’ list, while bartender Boo Jing Heng was crowned the 2016 Diageo World Class Singapore Champion. Try the signature cocktails ($22) created specially by Boo for the competition, or go back to classics with a Negroni ($22) or Old Fashioned ($22). Don’t expect conventional bar bites here, either – Jigger and Pony whips up grub like salmon dip ($14) and steak tartare ($22), the latter of which is made from dry-aged John Stone grass-fed beef and served with spiced strawberry ketchup. 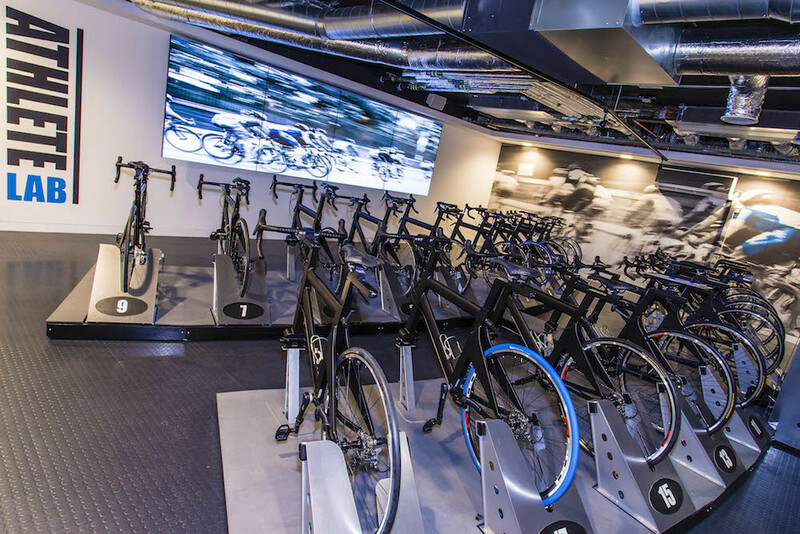 Athlete Lab is an indoor cycling experience with real bikes (and not spin ones). 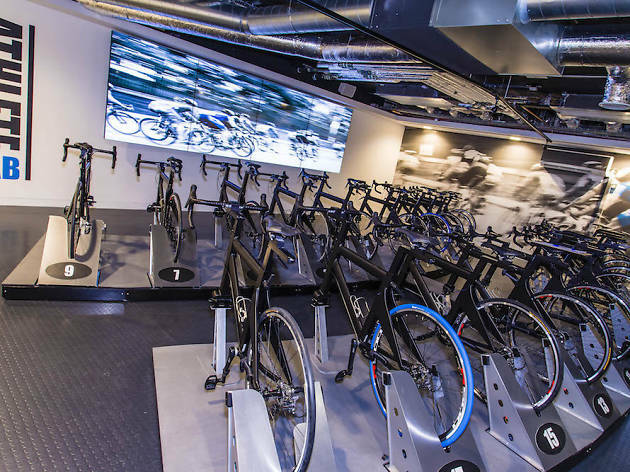 Offering one-on-one coaching and race simulations, it caters to everyone from beginners to pro athletes training for triathlons. Sessions start from $50 for one and peak at $440 for a package of ten sessions. 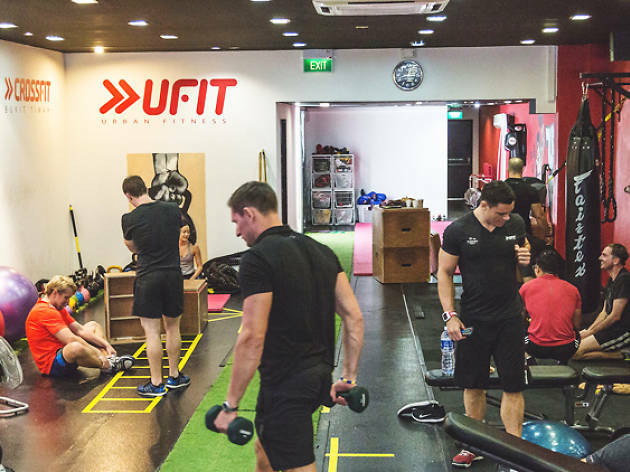 Alternatively, access the gym as many times as you wish for $220 a month – pay $50 more, and you can sweat it out in Athlete Lab’s outdoor training sessions, too. At this Amoy Street shophouse barbershop, the brooding gentleman’s club vibe present at groom rooms elsewhere is eschewed for a brighter, art gallery-like space, supplemented with chesterfield sofas given a modern, red-hued update, and lovely sunlight streaming in from a glass-covered courtyard space. 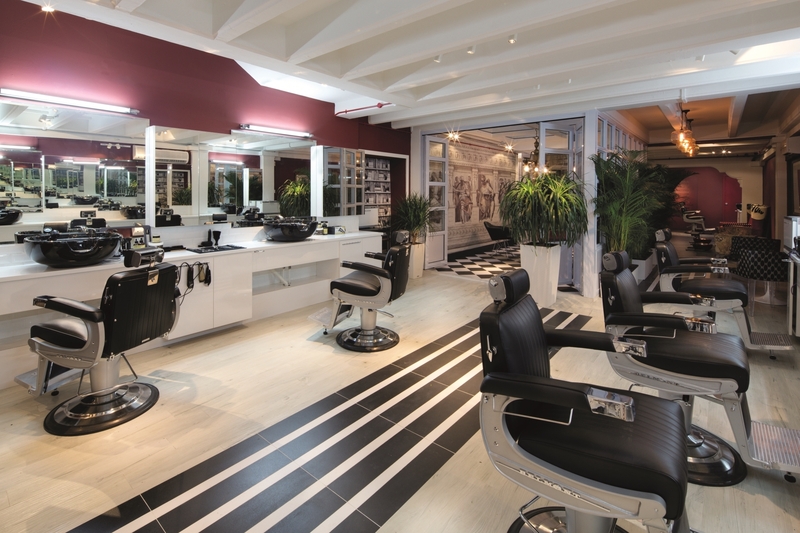 Borrowing its name and austere personality of the historic Jermyn Street in London, a host of services are offered at a premium, including hot towel shaves ($70), cut and washes ($55-$75), and beard grooming ($35-$50). The services are administered across six chairs by a team of four headed by Steve Chapman. 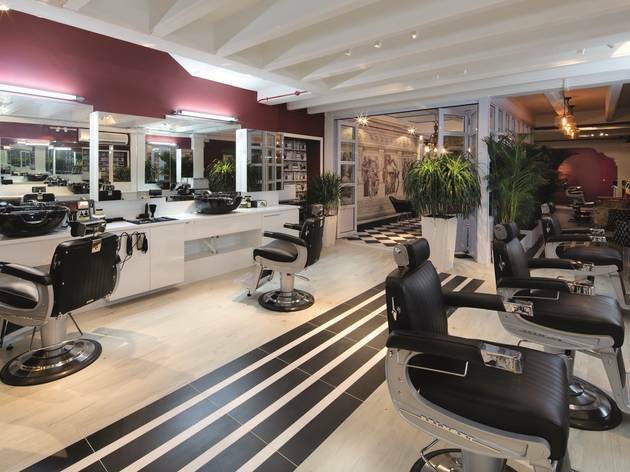 For guys who need constant hair attention, the VIP member package ($650) entitles you to 12 haircuts, to be used up within a year. 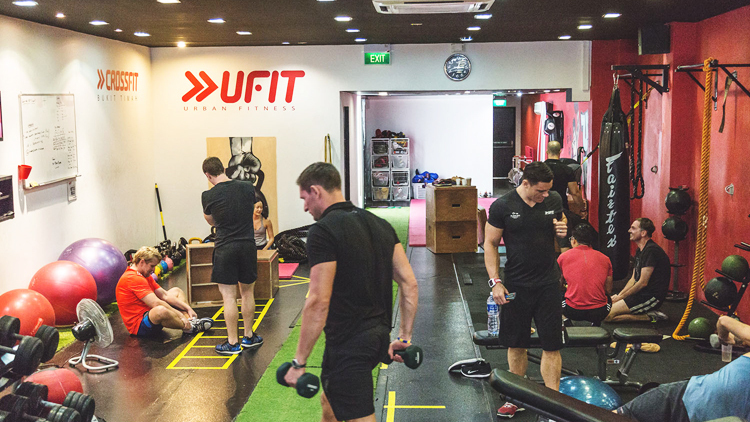 UFIT’s 5,000-square-foot flagship on Amoy Street brings together personal training, nutritional advice, physiotherapy and injury rehabilitation under one roof. It’s currently headed by Darren Blakely and Dean Ahmad, as well as former England Rugby International player James Forrester and OZFIT founder Lisa Clayton. Training classes start from $35 for walk-ins, and there are also packages ranging from $250 (ten sessions) to $920 (44 sessions). If you’re in for the long haul, the gym also offers unlimited sessions for up to a year ($175/month).